For nearly four decades, Chapelstreet Church celebrated its weekly worship services and ministry programs from their South Street location in Geneva, IL. By the late 1990s, the average church attendance had grown to more than 1,200. Even after multiple add-ons and renovations, the sanctuary, classrooms, and parking lots were overflowing. With no more buildable land available at this location, the church began searching for a new, larger site. In 2004, Chapelstreet Church opened its doors in a new 50,000 square foot building located on a 22 acre site just one mile west of the existing building, becoming one church with two campuses. 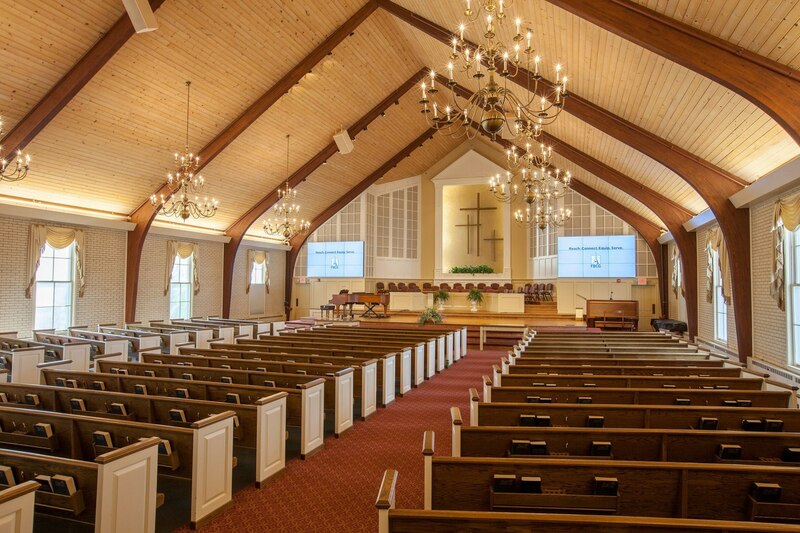 Though the new, larger Keslinger campus is poised to accommodate ongoing growth in worship attendance and ministry programs, the South Street building suffered from age and wear and tear. 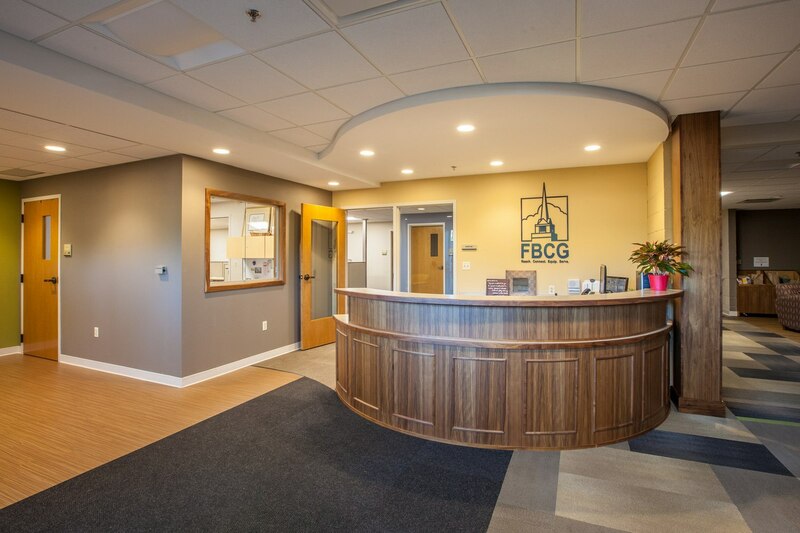 The facility’s appearance and functionality began to have a detrimental effect on attendance and ministry programs. 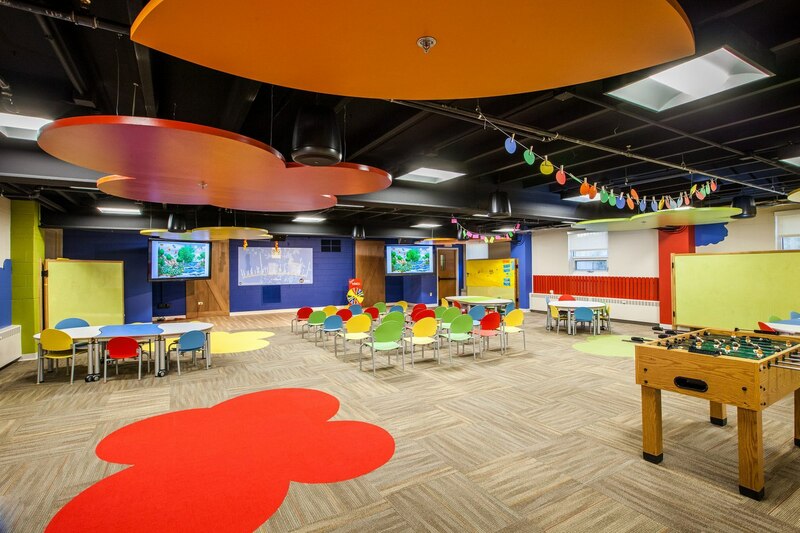 To combat falling attendance and create consistency between the East and West campuses, Chapelstreet Church worked with Aspen Group to breathe new life into the older building. 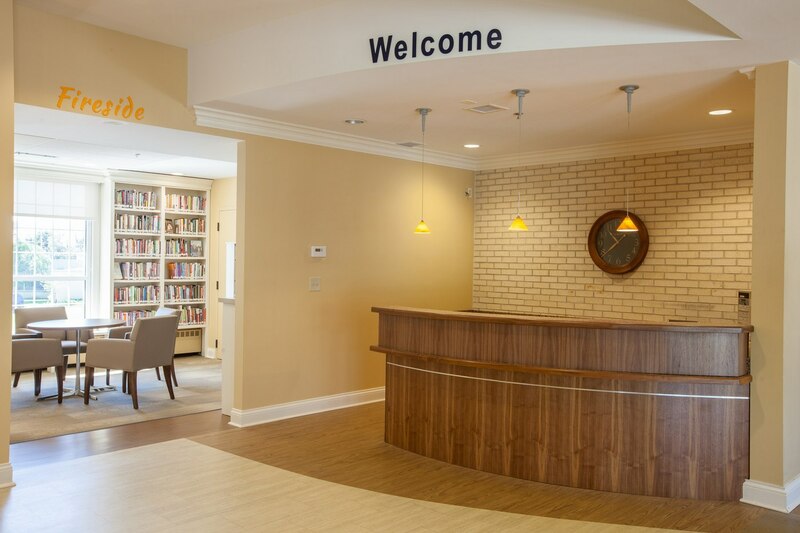 An overhaul of the interior space included new administrative offices, a remodel of the children’s area, a new food pantry, and a sanctuary renovation to target a new demographic. 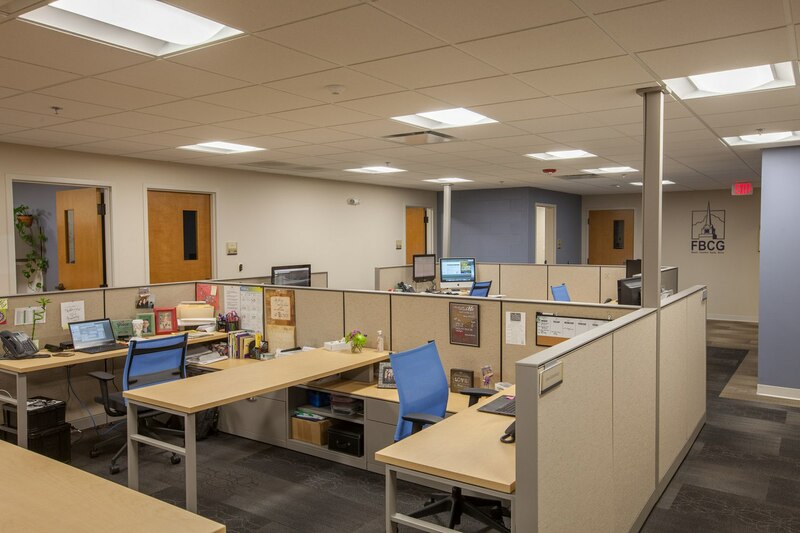 “Before renovating the South Street campus, church administrative offices were scattered throughout the building,” says Doug Kight, director of operations for Chapelstreet Church. By consolidating staff offices into one suite, Kight observed a change in morale. “I notice our staff collaborating more, and people seem to enjoy coming to work,” he says. Another area of the church that benefitted from a physical move was the food pantry. 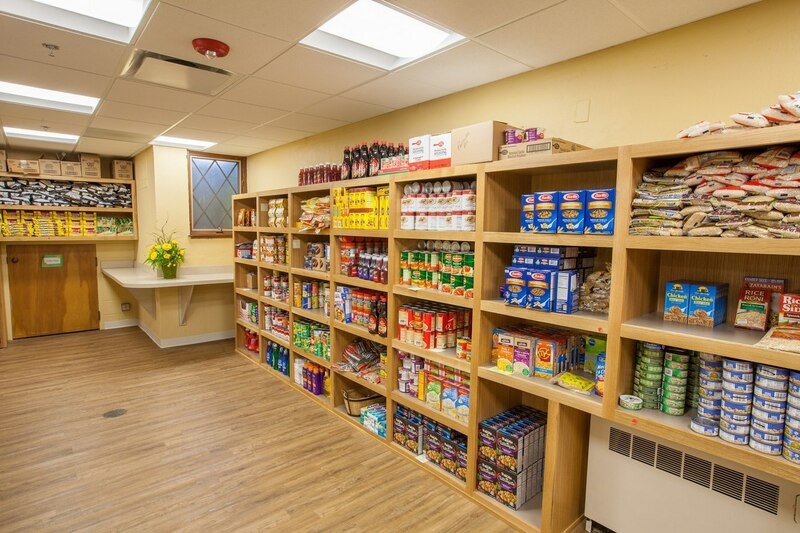 Previously hidden in the back of the building, Chapelstreet Church moved the food pantry to the front so all who enter can immediately see what the church values—service to the community. 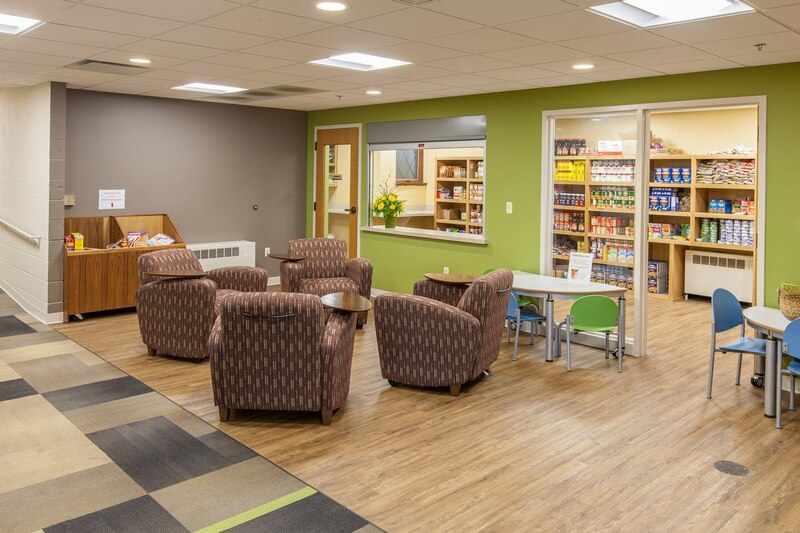 According to Coffey, the number of families Chapelstreet Church served through the food pantry immediately doubled when they moved the pantry to the front simply because it was more accessible and inviting for the public to use. The church also added a new café and connecting space designed to help people fellowship with each other in between services. Known for being a busy and active church, Coffey says there were not enough areas of respite or places to be alone with God. “Aspen Group was the one that taught us that space creates behavior,” he says. 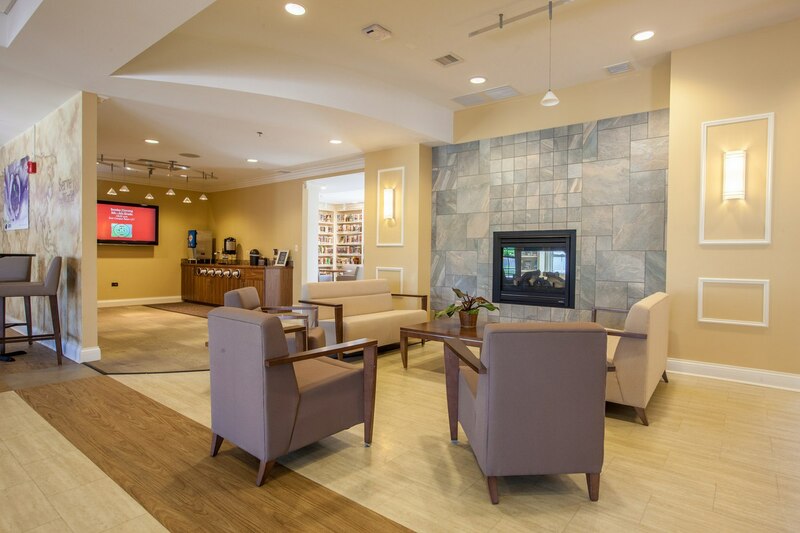 “We now realize that people hang out longer after services because people have space to linger in.” By creating a lobby that invites people to sit and visit, the church is experiencing deeper levels of engagement among all generations. The core of this church’s DNA has always been the gospel, outreach, and worship. By leveraging the positive attributes of its older campus, Chapelstreet Church feels even better equipped to serve the community and further God’s kingdom.